One of my favorite stories about the state of Maryland is how it came upon it’s nickname: the Old Line State. The nickname was bestowed by General George Washington because the Maryland Line served courageously in many battles. Particularly the Battle of Long Island when 400 soldiers in the First Maryland Regiment fought a British force of 2,000 which allowed the Continental Army to retreat, a pivotal moment in the Revolutionary War. Because of Maryland’s varied waterways, the Chesapeake Bay, Baltimore’s Inner Harbor, and many navigable rivers, and its mountainous landscapes, it is has been called “America in miniature.” This small state has a lot to offer in history and geography. However, studying and learning about Maryland is more than memorizing its state capital and population density. 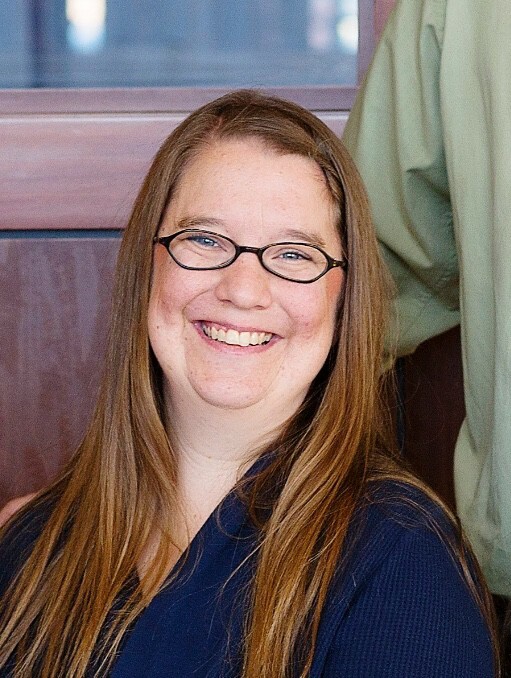 My approach to homeschooling involves what as Charlotte Mason coined, living books. Living books are books that make the subject you are studying come alive and are written by people who love the subject. 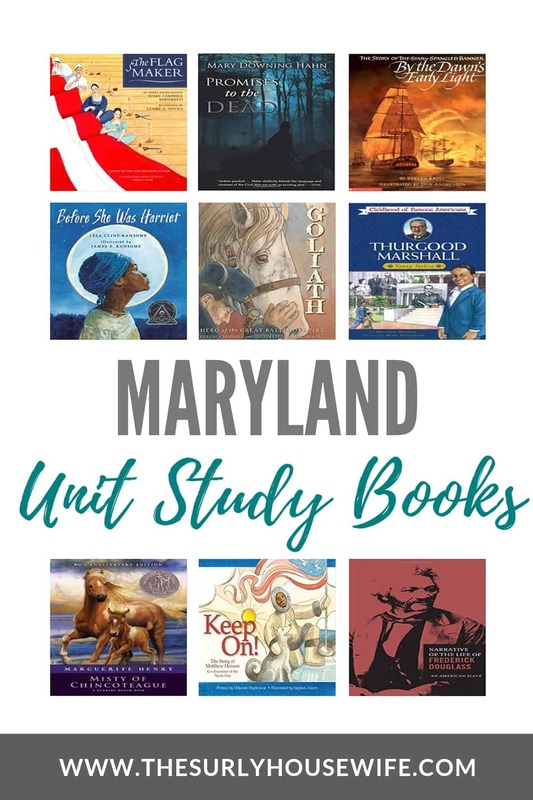 While this book list might not contain nonfiction books filled with facts and figures about Maryland, they DO make the state of Maryland come alive to the reader. Some books are about a family living in Maryland, while others are about famous events in the state’s history, and some are about famous or historical people from Maryland. ICYMI! Here are the lists for the previous states. Maryland is nicknamed the Old Line State. Motto – Strong deeds, gentle words. Maryland became a state on April 28, 1788. It was the seventh state. 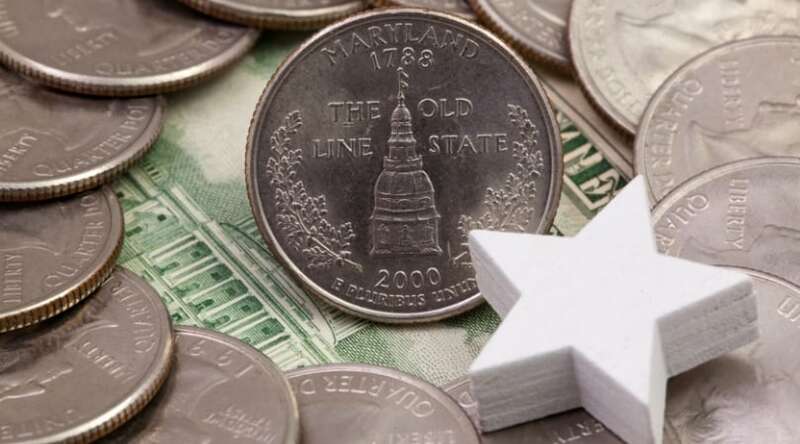 The state of Maryland was named to honor Queen Henrietta Marie, the wife of England’s King Charles I.
Annapolis is the capital city of Maryland. One of Maryland’s more famous landmarks is Chesapeake Bay. Learn about all creatures and the environment of Chesapeake Bay in this adorable picture book. Every Sunday afternoon Sarah and Susan visit Aunt Flossie and take a walk down memory lane. Aunt Flossie loves hats and each one of her hats represents a story. A story about family history, a story about Baltimore, or a special memory. The girls love hearing all the stories, and every Sunday they finish their day eating crab cakes, which Maryland is famous for! History is boring. Or at least that’s what Daniel thinks! His teacher is not pleased when he expresses that opinion in a school-assigned paper. When Daniel meets a magical raven named Calvert, he flies with Calvert back to 1814 and witnesses the Battle of Baltimore. Daniel finds his home city under siege by a British army on the verge of defeating the United States of America in the War of 1812. “On the island of Chincoteague off the coasts of Virginia and Maryland lives a centuries-old band of wild ponies. Among them is the most mysterious of all, Phantom, a rarely seen mare that eludes all efforts to capture her—that is, until a young boy and girl lay eyes on her and determine that they can’t live without her. Keeping her family together is what thirteen-year-old Dicey does best. All four Tillerman children have recently found a new home on their grandmothers run-down farm on the Chesapeake Bay. But oldest sister Dicey has to discover the hard lessons of letting go, everyone has something to teach, and life is a lesson that doesn’t get easier. This series of books called Discover America State By State are some of my favorites for introducing a state to kids. Each letter states a fact or a thing about that state. For example, for Maryland letter A is Annapolis and letter B is blue crab, B is for Blue Crab and so on. Each letter comes with a four line rhyme about that respective letter’s fact or subject. What I love most is on the side of the page it gives more in-depth description about each subject. It’s a great jumping off point for what sparks an interest in your child! The story of how the national anthem of the United States during the War of 1812 came to be. Francis Scott Key sought the release of an American prisoner of war on a British ship in September 1814. He was held captive against his will on a British vessel as Fort McHenry (near Baltimore, Maryland) was bombarded. A large American flag flew all night in defiance of British guns and inspired Key to write The Star-Spangled Banner. It also includes maps, a bibliography, and oil paint illustrations about an important event in American history. Want to know how/why that famous flag was flying over Fort McHenry that day? The Flag Maker tells the story of the flag. Seen through the eyes of young Caroline Pickersgill, the daughter of an important flag maker and the granddaughter of a flag maker for General George Washington’s Continental Army. It is also a story about how a symbol motivates action and emotion, brings people together, and inspires courage and hope. “We know her today as Harriet Tubman, but in her lifetime she was called by many names. As General Tubman she was a Union spy. As Moses she led hundreds to freedom on the Underground Railroad. As Minty she was a slave whose spirit could not be broken. As Araminta she was a young girl whose father showed her the stars and the first steps on the path to freedom. Matthew Henson was born in a Maryland cabin just after the Civil War. Slavery had been abolished, but few opportunities were available for black people. Like many children, young Henson exhibited a yearning for adventure. And at age 13 he embarked on a five-year voyage sailing the seven seas. Henson’s greatest accomplishment began when Robert Peary invited him to join an expedition to the North Pole. After a perilous journey on April 1, Peary, Henson, and four Inuit men began the final 133-mile push to the Pole. Author Deborah Hopkinson pays tribute to a great but under-recognized figure from America’s history. Maryland native Michael Phelps made history in 2016 by becoming the most decorated Olympian of all time. 22 Olympic medals, 18 of them gold. This lovely children’s book focuses on his training leading up to the 2008 Olympics in Bejing where Phelps was DETERMINED to win 8 gold medals. Showcasing the value of hard work, goal setting, and not giving up, this colorful book is as educational as it is cute. I love to read, and I love a good theme or challenge for a reading list. So my final two books on this book list are one adult fiction and one adult non-fiction. From the creator of HBO’s The Wire, read David Simon’s account of a year inside the Baltimore homicide unit, which would became the basis for the hit television show. It focuses on three detectives working in city torn by racial tensions and plagued by drugs and crime. And there you have it! 20 living books about Maryland. It is my hope that this book list provides you with JUST ONE book to share with your kids. For our homeschool unit we read Jacob Have I Loved, and while it wasn’t the absolute favorite we have read, we still quote the book. Which I love because my goal as a homeschool mom is to create a homeschool culture around books and reading aloud. 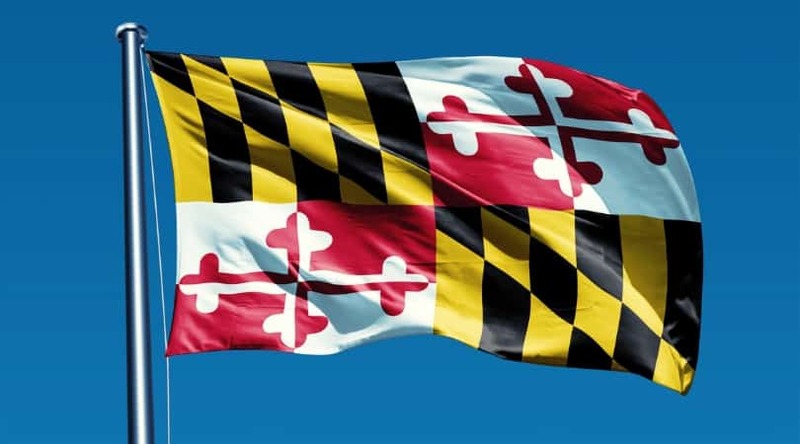 From flags to crabs, and from Chesapeake Bay to Fort McHenry, I hope you find some fun things to learn about Maryland! What kind of books does your child love best? What kind of books would you like to see in the future? Drop a comment below to let me know! WANT TO SAVE THIS FOR LATER? SAVE THIS BOOK LIST TO YOUR FAVORITE PINTEREST BOARD! !